Josiane El Zir was recently described by one publication as "the business woman with the purple hair... or pink". Having studied cinema at USEK, she started her artistic career as a presenter for Dubai TV, MBC, etc.... and honed her audience-interactive talents as a karaoke animator. She performs "shows" -as opposed to being a simple singer- acts and is active in the business community through her company "PINKISH". 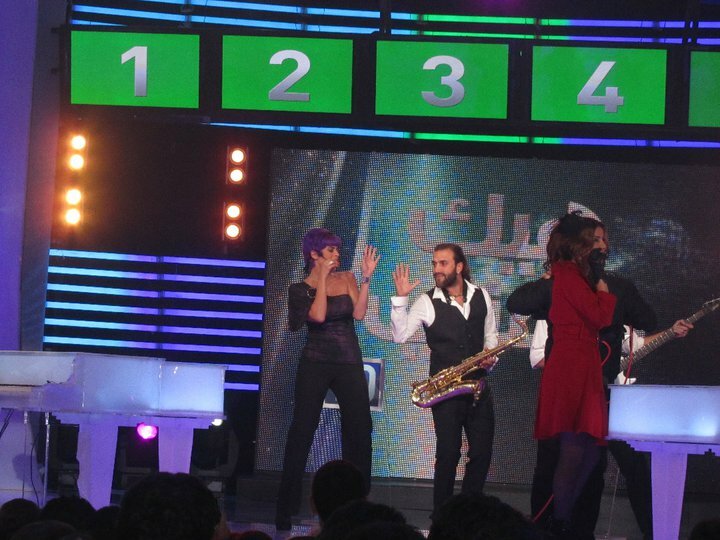 You can usually see Josiane on a local tv station (MTV) every Monday night in "Ktir Salbe", a comedy show. Additionally, Josiane participated and sang on MTV's new talents show "Hek Minghanneh" so visit this link to watch the show online and judge for yourselves!! You can watch Josiane interpreting her favorite songs on http://www.youtube.com/ or click here for her version of "Hot Stuff".